Are you being called to service in the world as an Interfaith Chaplain or Community Minister? Or, are you already ordained in a single faith tradition and want to attain a Dual Ordination or Transfer of Ordination to Interfaith? 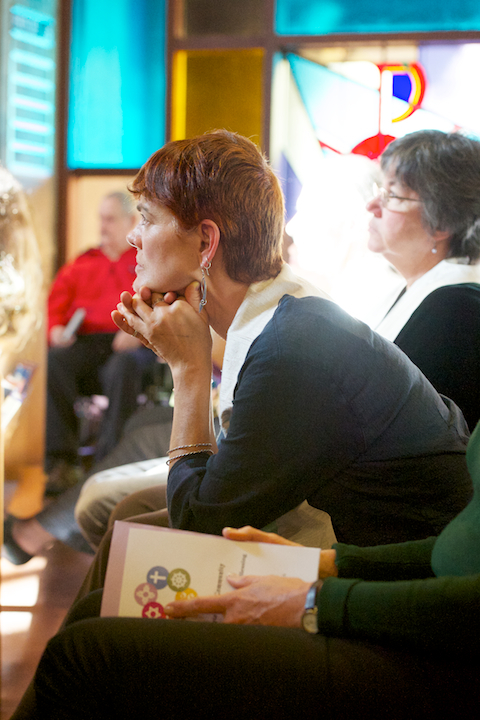 Explore your options through our INTERFAITH CHAPLAINCY and Community Ministry Program. The seminary offers several paths through our CHAPLAINCY PROGRAM, including Board-Certified Chaplain Masters of Divinity Path, Interfaith Ordination Path, Interfaith Certification Path, Dual or Transfer of Ordination Path. Are you being called to serve as a Spiritual Director for individuals and groups? See our SPIRITUAL DIRECTION CERTIFICATE PROGRAM. Do you want to discern your calling or deepen your understanding of an interfaith subject, like Restorative Justice, Eco-Ministry, or Being with Dying & Death? It could be our enriching CONTINUING EDUCATION PROGRAM of Open Courses and Electives are for you. Please CONTACT US with any questions. We are glad to help. Through study, reflection, writing and engaging with others, students gain a broad understanding of the world’s faiths, while simultaneously deepening their relationship to their own spiritual traditions. The curriculum includes class instruction, group interactions, theological study, spiritual care skills, spiritual leadership, and practicum experience. It is inclusive of many aspects of individual spiritual formation for ministry as well. 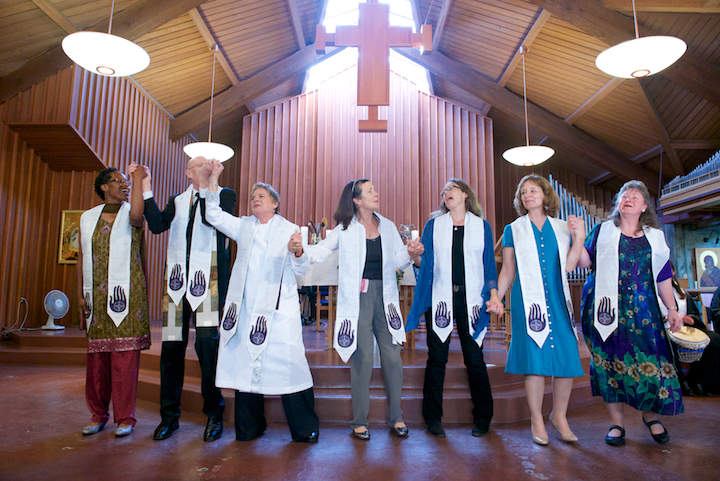 The CHI Interfaith Community ordains individuals who have successfully completed the Interfaith Chaplaincy Certificate Course, who are committed both to the vocational calling of service and to personal spiritual development, and who have demonstrated readiness for ministry, including achievement of core competencies. In joint partnership with the Starr King School for Ministry CHI students can fulfill requirements toward earning the designation of BCCI, MDiv. The CHI Interfaith Community bestows individuals already ordained in a single faith tradition with Dual Ordination or a Transfer of Ordination upon completion of Interfaith Studies Program requirements. Students who successfully complete all the requirements of the Interfaith Chaplaincy Program are eligible for certification. Students and professionals can select from open courses and electives to deepen their interfaith understanding and practice. Spiritual Direction, or spiritual guidance, is the art of companioning people on the spiritual journey. This program is designed for those who feel called to a private practice in personal, one-on-one spiritual direction, and who anticipate working with clients from a variety of faith traditions. The program is also suited to other helping professionals who want to add a spiritual guidance perspective to their current work (such as psychotherapists, health practitioners, ministers and chaplains) is designed for those who feel called to a private practice in personal, one-on-one or group supervision. Students who successfully complete all requirements of this program are designated Spiritual Directors. Students, alumni, and professionals can select from open courses and electives to continually deepen their interfaith understanding and practice. Offered throughout the year, these 2 to 6-day courses and electives are designed to inspire and educate people who are called to serve in an Interfaith capacity in our increasingly diverse world or for those who are interested in learning more about a specific faith tradition or subject. Participants immerse themselves in a deeply creative and nurturing environment to develop and deepen their personal theological perspectives, while also expanding their capacity to serve the spiritually and culturally diverse world in which we live or simply to gain a greater understanding of those from different cultures or paths than you. Many individuals enroll in open courses and electives to discern their call to ministry and chaplaincy, prior to applying to our Interfaith Chaplaincy Certificate Course. Some attend because they have an interest in increasing their knowledge and understanding or particular faith tradition or spiritual subject. The multicultural world in which Chaplains, Ministers, and Spiritual Directors serve is progressively becoming more secular and pluralistic. Today, spiritual care providers are faced with ministerial challenges never before experienced at such scale–––mass tragedy, environmental and climate disaster, pandemic illnesses, and an enormous aging population. The Chaplaincy Institute (CHI ) prepares students to minister effectively and creatively in this rapidly changing environment by providing stellar interfaith education, personal vocational discernment, leadership training, outreach opportunities, and strategic partnerships. The Chaplaincy Institute seminary provides an experiential, immersive interfaith educational curriculum that best prepares students to be holistic spiritual leaders and care providers through a wide range of innovative vocational pathways most often in diverse, multi-cultural community environments––palliative care and hospice, hospitals, prisons, military, business, government, environment, industry, education, and crisis situations––not attached to a specific religious institutional place or congregation. Our seminary programs appeal to all those being called to a deeper understanding of our connection to, and impact on, all creation. CHI programs are designed to inspire, nurture and educate those who are called to serve in an Interfaith capacity in our increasingly diverse world. 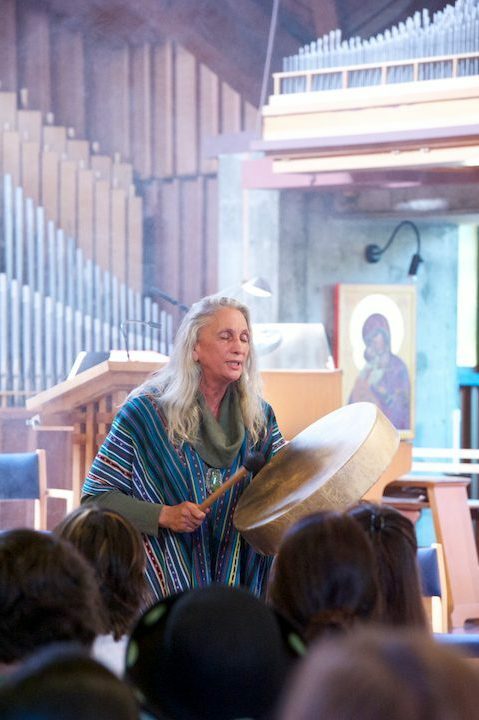 Our innovative programs focus on a combination of the study of world religions, an exploration of mystical paths and teachings, and spiritual care and ministry skills… all in a creatively infused context. We offer an ongoing schedule and flexible hybrid distance model of education and strive to keep tuition and cost affordable.